In Israel, we covered history from 2,000 B.C., to 30 A.D., to 70 A.D., and a little later, as you have to dig through the later years to get to the earlier years. However, today we jumped up to 1492, when someone sailed the ocean blue. This cathedral is one of the largest that exists (size-wise), and is purported to be the third-largest cathedral in Europe. The reason we’re here is one of the cathedral’s inhabitants, one Señor Cristobal Columbo. Ok, so the massiveness of this cathedral and its detailed Gothic design is part of the reason as well. 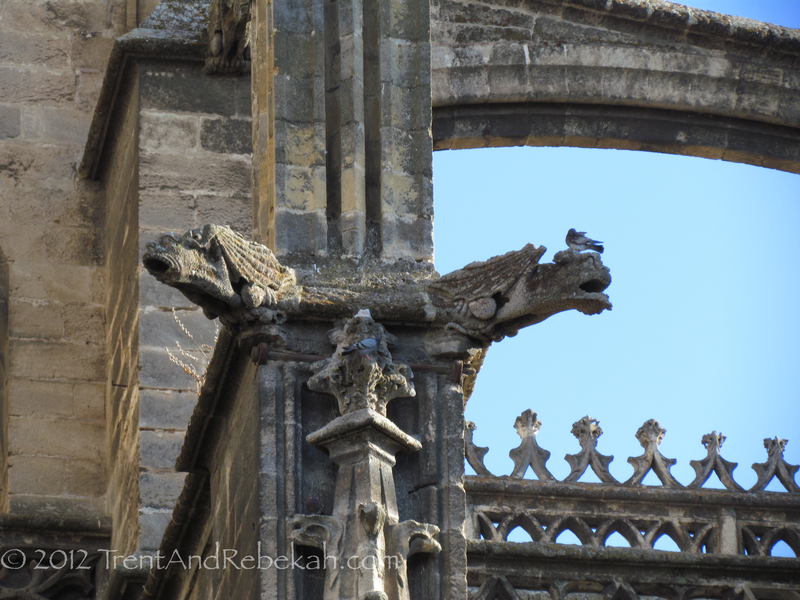 It is hard to comprehend how much detailed stone carving and fashioning this building contains, as every square inch seems to have figures or designs carved into it. And here lies Mr. Columbus. Columbus was quite the traveler, as we’re all aware. However, he also did a bit a travel after his prime, actually, after his death. 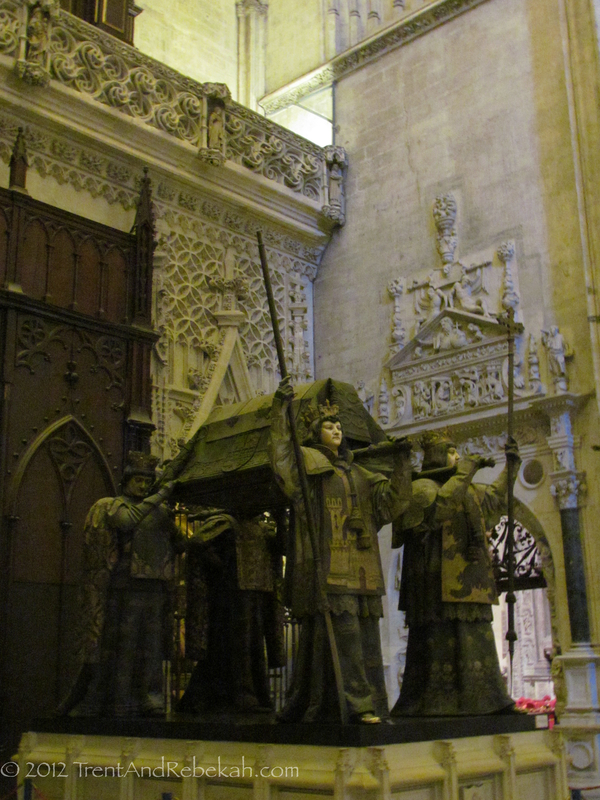 Posthumously, he visited Santo Domingo, the Dominican Republic, Cuba, and then back to Sevilla–where he received a DNA test in 2006 to prove that the Seviilans really did have a reason to throw his 500th anniversary party. 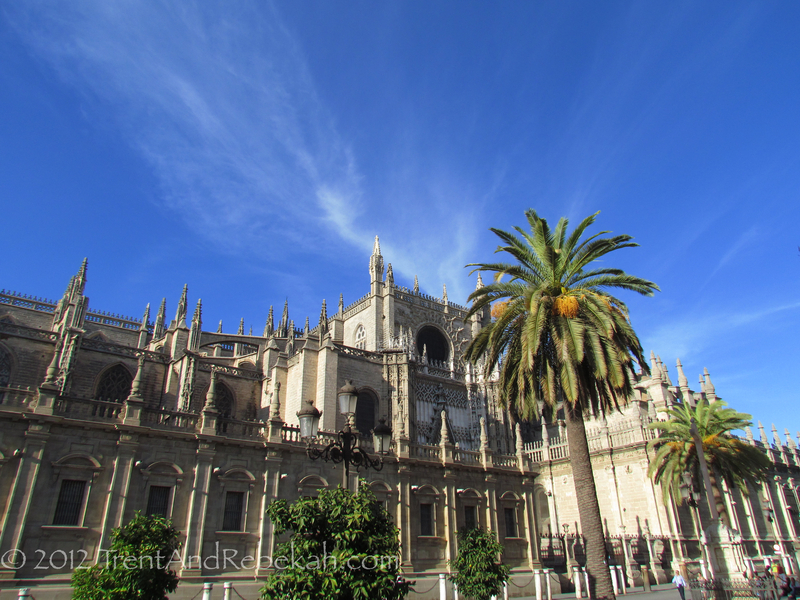 Other interesting tidbits about this cathedral: the Renaissance artist and Spanish master Murillo debuted here with the first Madonna paintings–the source of art inspiration even today. 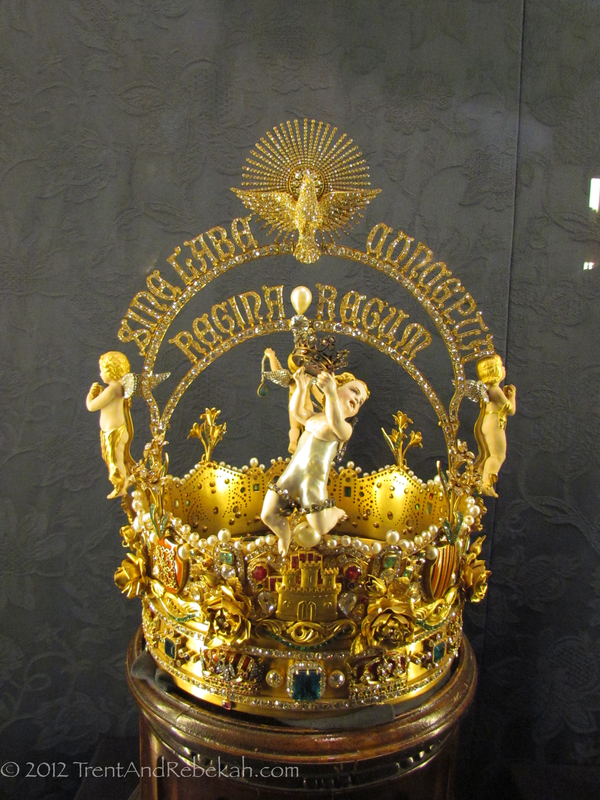 Also, Spain’s most valuable crown is housed here, glittering with 11,000 jewels and the worlds largest pearl. 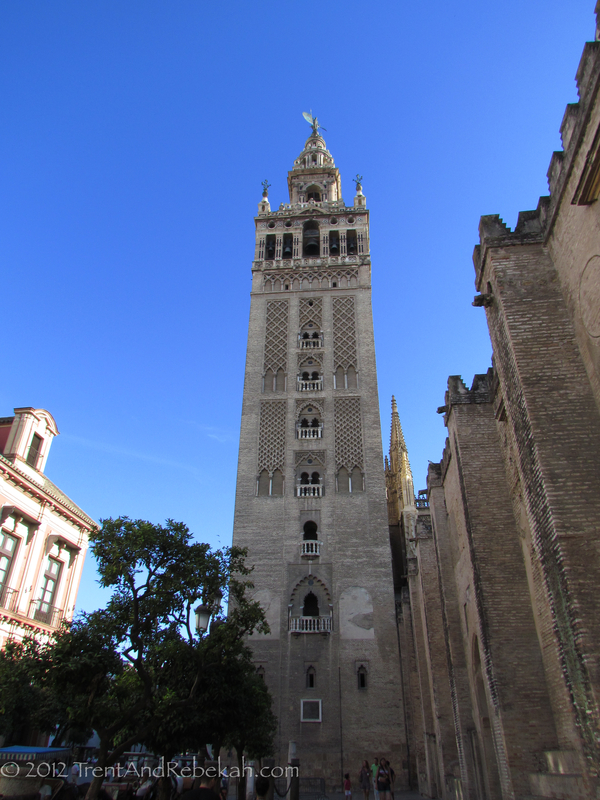 And for those with a strong cardiovascular system, the 300-foot Giralda Tower. Originally, this entire complex was a mosque, which the catholic church repurposed and renovated into a larger cathedral (you can pick up the moorish influence in much of the architecture–especially note the horseshoe arches, such as in the windows of the bell tower). The minaret became the bell tower, but you can still take the ramp to the top, up which the muezzin would ride on horseback 5 times a day to call the faithful muslims to prayer. We will be back in Sevilla next Sunday, but next up is Granada! This entry was posted on September 17, 2012 at 6:20 pm and is filed under World History. You can follow any responses to this entry through the RSS 2.0 feed. You can leave a response, or trackback from your own site.